The Orlando custody lawyers at the Kramer Law Firm have worked with countless divorcing couples involved in decisions and disputes about parenting issues commonly known as child custody and visitation. Although divorce is the end of a marriage, there are bonds that will persevere. Children are one of the most common binding ties of divorce. Few aspects of divorce can complicate matters more than children. Determining what the arrangements for minor children will be before and during the divorce, as well as maintaining these relationships over time, can be a difficult and stressful process for families in Orlando. The custody lawyers at the Kramer Law Firm share your concerns for the well-being of your children, and work hard to uphold stability in your child’s life. In most states, the division of child time and care is known as custody and visitation. In 2008, Florida did away with the concepts of custody and visitation, and new legislation now refers to child custody/visitation as time-sharing, which is governed by a shared parenting plan. Parenting plans can be simple or complex. Every plan has its own unique issues, and some parenting plans become very detailed and involved. Our Orlando custody lawyers will work with you to identify every potential parenting issue that could possibly arise in your case. The policy of our state is to ensure that children have frequent and recurring contact with both parents after divorce. Florida laws regarding parental decision-making and time spent with children do not favor one parent over the other. Florida courts encourage parents to share the rights and responsibilities of raising a child, whether the child is born within a marriage, or the child is born outside of marriage. Parental Responsibility – Florida courts favor shared parental responsibility of children except in cases when it may be harmful to the child. Parental responsibility applies to decisions that affect the child’s life on a daily basis, such as where they go to school, who will be responsible for health care, who will be responsible for day care or extracurricular activities, and religious upbringing. Time-sharing – In place of custody and visitation, Florida time-sharing establishes how time with the child will be divided between the parents. The parents decide on the child’s weekly schedule, as well as a holiday and vacation schedule. Florida courts presume that 50/50 time-sharing between both parents is best for the child. This 50/50 time-sharing idea is not mandatory, nor is it always in the child’s best interests. If you do not want a child time-sharing plan that is divided 50/50 and the divorce proceedings are underway, you should seek advice from a qualified Orlando custody lawyer as soon as possible. Child Support – Child support is also addressed in the parenting plan, and in accordance with the Florida Child Support Guidelines. Many factors affect support, including the timesharing schedule. A parent who spends more than 20% of the time with the child in overnight stays will have a lower child support obligation than a parent who spends less time with the child. Whether you are the mother or father, we want to help you find workable solutions. Our attorneys are strong advocates who believe parents who wish to be responsible for their child deserve superior representation when seeking custody. Do you wish to have more access to your children? Has your spouse failed to meet child support obligations, or obey child visitation rulings? Are you planning to divorce, and simply need to talk with an experienced divorce attorney about what you can expect? To address all of your concerns, please consult with a reliable Orlando custody lawyer at our firm, or call us today at 877.493.4847. In all matters of parental responsibility, the best interest of the child shall be the primary consideration. Florida courts expect parents to work constructively toward shared responsibility for their children's daily lives and long-term development. The court must approve your parenting plan. If you cannot agree on an arrangement, the judge will impose the parenting plan as he or she sees fit. That is why custody and time-sharing mediation can be dramatically effective in reaching creative, healthy resolutions that would not be reached in court. In our practice as Orlando custody lawyers, we are intimately aware that a “one size fits all” solution does not exist for all parents and all children. Your family unit, although the marriage is dissolved, is still quite unique and must be supported. Your children need love, structure and certainty in their lives, and so do parents. Divorce Is Often Most Difficult for Children. A child should not be subjected to a tug-of-war between parents. Although they may be minors, older children will react differently to their parent’s divorce than younger children. Older children’s preferences for time-sharing and living arrangements may also be a factor in crafting a parenting plan and determining time-sharing between the parents. The Orlando custody lawyers at the Kramer Law Firm strive to promote an atmosphere of cooperation that will have a positive, nurturing effect on the development of any child. We also understand that no one understands your children like you do. Can You Have Sole Custody (Sole Parental Responsibility) in Florida? There are times when circumstances demand that a parent seek sole custody, or supervised child time-sharing. Sole parental responsibility authorizes one parent the right to make all important decisions that affect the child’s welfare. These cases usually involve charges against a parent that could potentially bring harm to the child. Such instances include spousal or child abuse, drug problems, neglect, or when shared responsibility is not practical, such as when a parent is in prison. Mediation is often the most effective and rewarding solution for parenting plans. 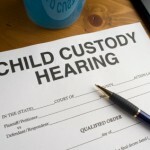 Other times, disputes over custody must be litigated in court. In each case, the Kramer Law Firm can provide qualified, compassionate help to mothers and fathers throughout Central Florida. Our attorneys are highly trained with years of experience in Florida family law and child law, and excel as mediators and litigators. 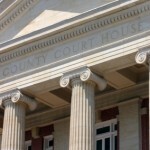 To see how we can help you, please contact an Orlando custody lawyer at our firm today. View our Family Law Video Channel for more about Child Custody and Child Support.